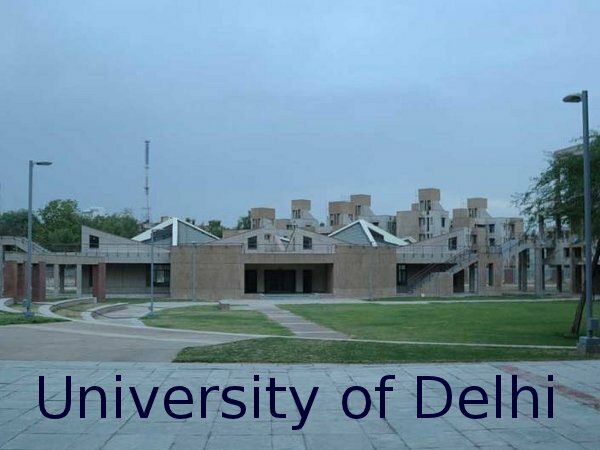 Department of Linguistics, Delhi University, invites applications from the eligible candidates for admission to Doctor of Philosophy (Ph.D) in Linguistics, commencing in 2014. The eligibility conditions and reservation policy for respective programme will be according to ordinance VI-B guidelines. What is ordinance VI-B guidelines? The degree of Doctor of Philosophy may be granted in any Faculty of the University. All academic matters related to this degree shall be supervised by a Departmental Research Committee. The student intake will be regulated in each department as per the availability of seats, according to the norm of the Professor. For more details visit Delhi University website. Application forms will be available at the Board of Research Studies (Arts), Room No 17, Faculty of Arts, University of Delhi, Dlehi - 110007. The filled application forms should be submitted in the office of the Department of Linguistics. Last date for the submission of application form is July 22. Entrance test will be held on July 25.